When you spend a lot of time on Facebook for your job, you come across some cool new ideas. 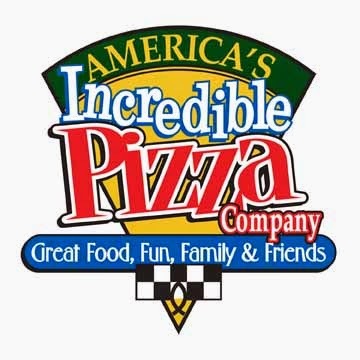 A recent one was a new Facebook game developed for Incredible Pizza Franchise Group LLC which is a pizza chain out of North Mississippi and Tennessee. The game, called Incredible Pizza Crush, is a matching game that gives you points. The highest winners play for free pizzas and gift cards to the pizzeria. We asked the game developer, Damian Lobalzo of Vetementia, just how this new game came to be. While the game is no longer available, during the month it was live, it drew a lot of traffic to the site. PMQ: Tell me how the idea came about for Incredible Pizza Crush? DL: Basically this game is part of a strategy we have developed for Incredible Pizza. Here at Vetementia we start by analyzing the current situation of a customer in terms of social networks and engagement and we think of different concepts to exploit. Due to the type of audience and thanks to their equipment we decided addictive games such as this one are a good starting point to engage users. PMQ: Is this something that can be purchased by other pizzerias and adapted to their pizzeria? DL: Yes, we can design a social media engagement strategy for any pizzeria or family entertainment center that would like to make a good use of their social media channels to gain exposure and increase brand awareness. We strongly believe FECs should also bring fun and excitement to every online platform they own, as leveraging their brand over social networks can lead to a increase of sales through the improvement of their reputation and by turning fans into active customers. PMQ: How does the game work? DL: The game is based in the famous Bejeweled game, which consists of matching sets of three of more tiles horizontal or vertically. Every matched tile explodes and shifts every tile on top of it, re-arranging the board and generating new possible moves. You win 10 points for every tile you explode, but if you are fast enough you can create combos by matching them repeatedly, which will double or triple your score. Also you can get special tiles by matching four or even five tiles together, which will allow you to get higher scores. Finally, at special dates we release points boosters, which can be unlocked by inviting people to the game. This way users help us spread the word and drive more players to the game! PMQ: Is this the first time a pizzeria has worked with you to develop a game like this? If not, what are some other examples we can point out? DL: This is the first pizzeria we are working with, but we are also working with several FECs such as Go Bananas (http://gobananas.net.au), Castles~n~Coasters (http://castlesncoasters.com) and Renaissance Fun Park (http://funatthepark.com). PMQ: What other type of games or apps does your company create that can be useful for pizzerias? DL: It really depends on what the company wants to achieve and what kind of target audience they have, but basically we can create simple but addictive full branded games such as this one or the famous Flappy Bird for example, trivia, sweepstakes, quizzes, challenges, and all sorts of contests. PMQ: Since Incredible Pizza has several stores, is the game specific to each store or all of the stores included in one game? DL: Because every store has a different Facebook page, we deployed the game with a database segmentation, so that each store can have its own ranking and award its own prizes. PMQ: How does one win? DL: The winners are chosen based on their scores. This game was scheduled within four weeks of total duration, so every week a new ranking is generated and the first three positions win. At the end of the contest, the best overall three positions win the higher prizes. PMQ: What is the highest score you can get in the game? DL: It really depends on how lucky you are and how fast you play so there is no limit on the score you can get. Also, if you take advantage of the boosters we release by inviting your friends, you can get even higher scores. PMQ: Who decided on what images are used in the game? DL: In this case, the customer decided what graphics to use, because they have a strict policy on this, but usually we provide every game assets so unlike other do-it-yourself solutions we prefer taking care of everything so that our customers do not waste time on anything but testing and approving the games. PMQ: Why is this a good idea for a restaurant? DL: Because social networks are not just a place to be but also a place to work. It's easy to get new fans and followers by promoting your company but how valuable are those fans if you don't do anything to interact with them? Games and apps are a great way to show your funs you are more than just a regular company and a tool to communicate with them. We strongly believe that such a behavior can leverage a brand and lead to turning fans into active customers. PMQ: Has it been shown to increase social media engagement or in store purchases in anyway? DL: Well this game has generated a 20% increase in number of fans and more than 18,000 plays, only within a month, so we consider this a huge success on generating engagement as lots of users have been playing and playing to improve their scores and make their way to the top 10. I currently don't have stats about in store purchases but this game was actually more intended to leverage the brand, so our first objective was to reach a large amount of users. That's why we didn't award discounts or smaller prizes that could lead more in store purchases.